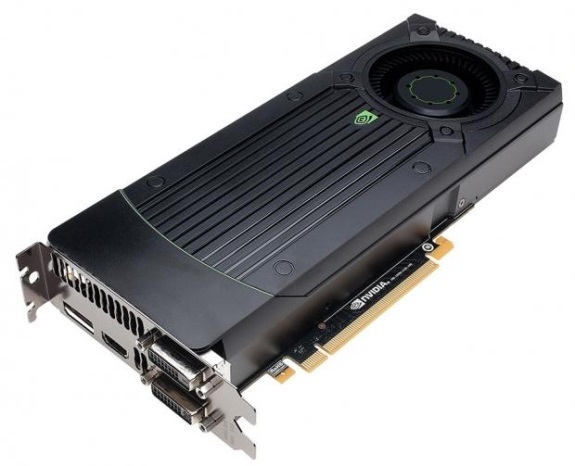 TweakTown came across leaked details about the GeForce GTX 880. Take it with a pinch of salt, but this card will reportedly be NVIDIA's new Maxwell-based single-GPU flagship. It's reportedly based on the 20nm GM204 GPU, it features 3200 CUDA cores, 200 TMUs, 32 ROPs, a 256-bit memory bus and 4GB GDDR5 memory. Core clockspeed is said to be 900MHz with a 950MHz Boost, and the memory frequency comes in at 7400MHz. The board's TDP is listed as 230W.